I'm a Premier Protein Ambassador + What That Means for You! 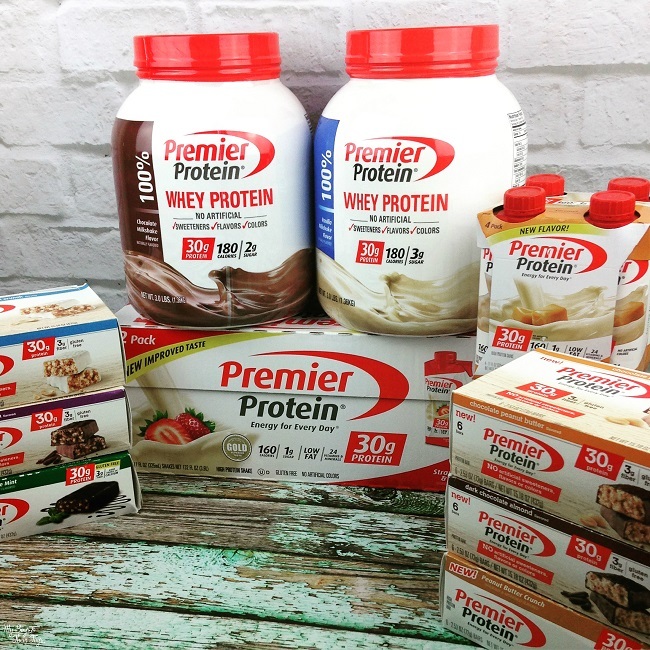 I’m a Premier Protein Ambassador + What That Means for You! Over a year ago I made a big change in my life. I decided I was tired of being tired. Although I looked like I was in shape, inside I didn’t feel that way. Can you relate? You are not alone, trust me! I had no idea that when I asked a friend to join me for fit camp – something I’ve never tried before – that it would ignite a flame in me to live a healthier lifestyle. 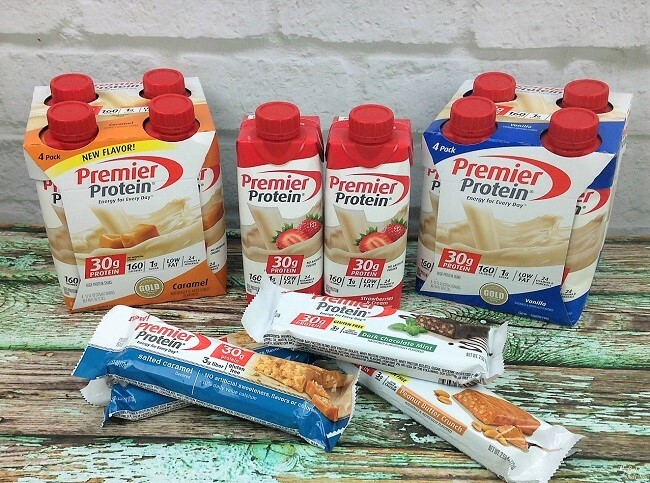 I am SO excited to share that I’m partnering with Premier Protein as a 2017 Ambassador! What does this mean for you? Lots of healthy recipes, fitness tips, samples and giveaways! 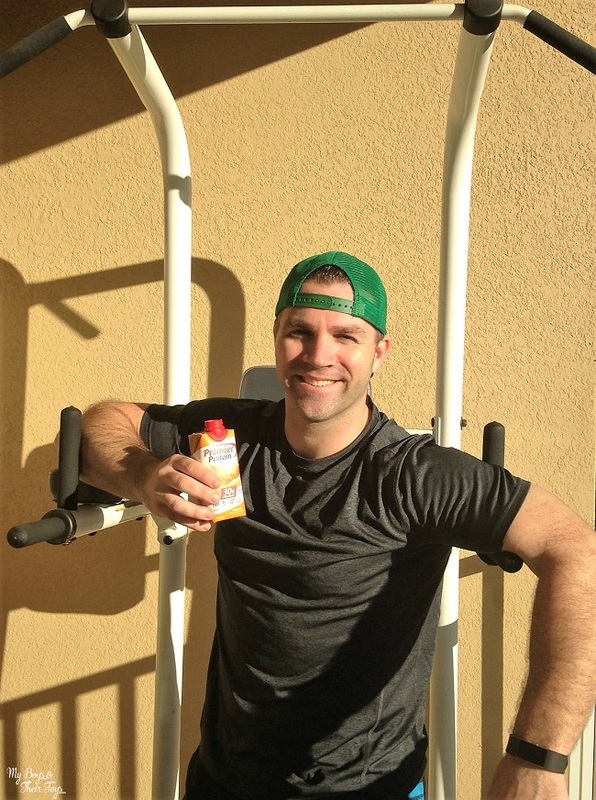 Read on to hear more about Premier Protein & how it’s making a difference in my life. Anything is possible when you have the energy to take on the day. Premier Protein is there to help fuel and inspire you to make the day yours. 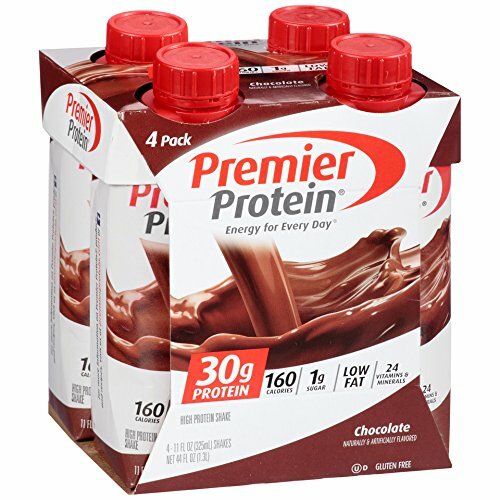 Making powerful, healthy choices is easy with Premier Protein products! Choose from shakes, protein bars, and 100% whey powder to help fuel your day. All of their products come in the most delicious flavors too! We’ve made it a family affair! After my husband saw the positive changes I was making in my life; eating healthier and working out, he decided to join me – just a few months ago. Now he works out every morning, and eats healthy protein shakes and bars. Are you ready to make the change to a healthier lifestyle? It’s the perfect time to set those goals as the new year has just begun! Right now Premier Protein Shakes are buy one get one (BOGO) at Publix through 1/18/17. You can also find their products at Costco, Walmart and Amazon.com. 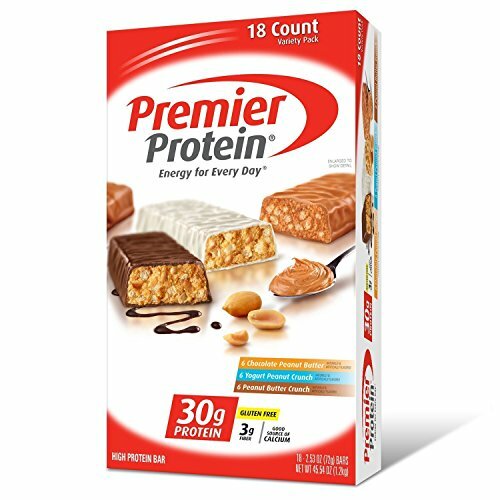 I want to motivate you to be the best YOU, so I’m offering one lucky reader an assortment of Premier Protein products (randomly chosen) in a giveaway! Enter below for your chance to win! And be sure to follow me on Instagram for inspiration. I would love to try the caramel flavor. These are great for a quick protein-filled snack. 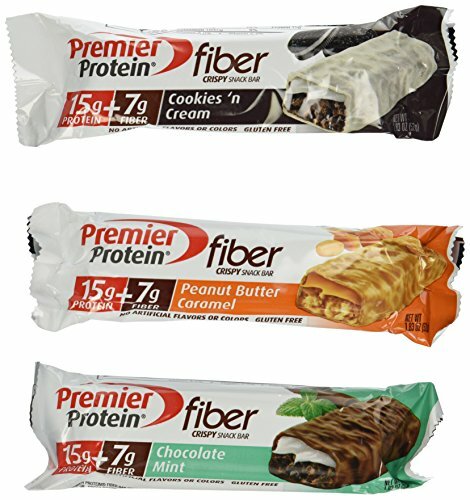 I want to try Chocolate Mint FIBER first. You had me at “Chocolate milkshake” ? 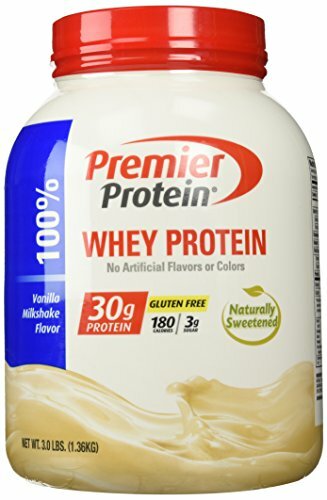 We love Premier Protein products in our house! My husband is a fan of the banana shakes, but I prefer the bars. I really want to try the salted caramel! I want to try the salted caramel bars. I would like to try bananas & cream. i would love to try the banana and cream shake! I want to try the chocolate milkshake!! I am a fan of the chocolate. They all sound so delicious, I want to try them All!!! I would love to try the chocolate, thank you so much! I want to try the peanut butter crunch bar. I would first like to try the strawberry! I want to try chocolate shakes. I would love to try the chocolate shake! I want to try the chocolate milkshake. The chocolate milkshake sounds amazing!! I think bananas and cream would be really good! Of course chocolate is always a favorite too. I actually drink these shakes a lot and I love the chocolate variety. I would love the Bananas and Cream! It’s fantastic with a smoothie! I want to try strawberries and cream! I want to try the chocolate proteins shake. The cookies n cream fiber bars sound good. The strawberries n cream shakes do too. I’d like to try the dark chocolate mint bar! I’d like to try the Chocolate Milkshake flavor! I love their vanilla. I really want to try the bananas and cream. The banana and cream shake sounds yummy! I would really like to try the chocolate shake first! I would love to try the chocolate protein shake. I want to try vanilla first because I can add other things to it. I want to try the salted caramel bars!! yummy!! i want to try the salted caramel bars, they sound good. I would like to try the bananas and cream shake. I want to try the Chocolate first! I want to try the banana and cream shake. I would like to try the caramel shake. I’m sure my boys would like the chocolate first. I want to try the caramel. It sounds fantastic! I would like to try the strawberry protein shake. I would pick Banana & Cream Shake. I would pick Caramel Shake. I would like to try the chocolate milk shake, and the caramel!